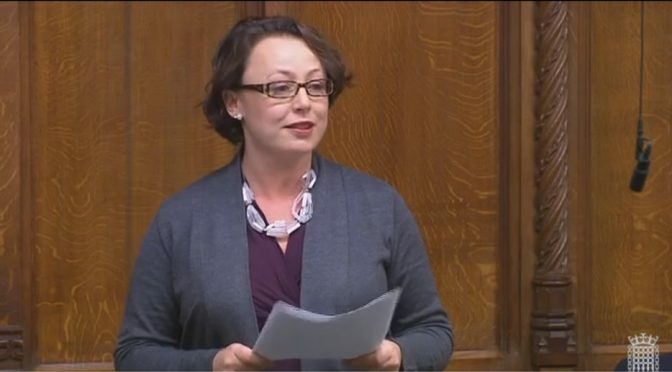 Catherine spoke yesterday in Parliament in the Second Reading debate on the Government’s Taxation (Cross-Border Trade) Bill – also known as the Customs Bill – and you can read a copy of her speech below. It is difficult to emphasise enough just how critical achieving those priorities is for the economy of the North East, which, as we heard from my hon. Friend the Member for Sedgefield (Phil Wilson), is the only part of the UK that consistently exports more than it imports. Some 61% of the region’s exports currently go to the EU, which makes it our largest market by some measure. As the House of Commons Library has previously stated, the proportion in the North East, along with that in Wales, is higher than in any other country or region in the UK. The North East is therefore significantly exposed to the effects of a bad deal, and to the frankly unthinkable prospect of no deal at all. What does the Bill actually offer to the North East’s businesses, and, indeed, to businesses throughout the country, in terms of the ability to plan for the future? How will it help to deliver the frictionless and unbureaucratic two-way access to European markets and the minimum disruption which are needed by the North East’s firms and the hundreds of thousands of jobs that they support, with many of the region’s exporters having EU-based firms as part of their supply chain? I do not know the answer to that, but what it does provide is a very real prospect of endless red tape and customs duties on goods traded with the EU, which may or may not be levied after Brexit, and for which those firms may or may not need to prepare and budget. That depends entirely on the Prime Minister’s ability to deliver a Brexit deal to British businesses and consumers. Understandably, they want to know what support the Government will provide to help the region’s firms through a significant period of adjustment, and so do I and my colleagues. What impact assessment have the Government carried out of the proposals for the stand-alone UK customs regime contained in the Bill, and of its effects and costs for businesses of all sizes up and down the country? Given that a recent Federation of Small Businesses survey found that small businesses already spend one working week every year complying with their existing VAT obligations, is it not crystal clear that the Bill will have serious implications for UK productivity rates, projections for which have already been seriously downgraded in the autumn Budget? What effect do Ministers think the Bill’s proposals will have on the many ports, airports and rail terminals across the UK, including Newcastle International Airport and the Port of Tyne in the North East? Who will foot the bill for any necessary infrastructure changes? This does not exactly inspire confidence, and I am sure that it will make concerning reading for firms up and down the country.